Rep. William Lamberth had strong words to offer on possible lawsuits stemming from the state’s proposed fetal heartbeat bill. 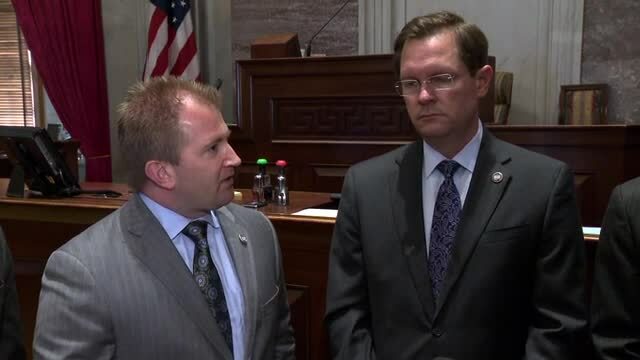 NASHVILLE, Tenn. (WTVF) — Rep. William Lamberth had strong words to offer on possible lawsuits stemming from the state’s proposed fetal heartbeat bill. The measure, which would ban abortion once a fetal heartbeat is detected, had already cleared the House, but Senate leaders said the bill raised too many legal concerns. Lamberth (R – Portland) spoke to reporters on Thursday, two days after the bill stalled amid concerns that passing the measure would result in the state losing costly court battles. "So, every single time we have passed bills to try to curtail abortion and the murder of children in this state, we have been sued. So, I say, ‘bring it on,’” Lamberth said. “It's money well spent to try to protect children's lives. And I like our chances in court… So, I'm ready for that fight. I think all of us are ready for that fight." The Senate Judiciary Committee agreed to review the issue further over the summer and take it up next year.